Rescuers found bodies of 17 miners who had been trapped underground after the mine accident in Heilongjiang Province. BEIJING: 17 workers, trapped in a coal mine in northeast China since last week, have been found dead by rescuers, authorities said. Rescuers found bodies of 17 miners who had been trapped underground after the mine accident in Heilongjiang Province on March 9, state-run Xinhua news agency quoted local officials as saying. The workers were in a cage which suddenly fell down during operation after its electric cable caught fire at Dongrong Second Mine of the Shuangyashan branch of Longmay Mining Holding Group. 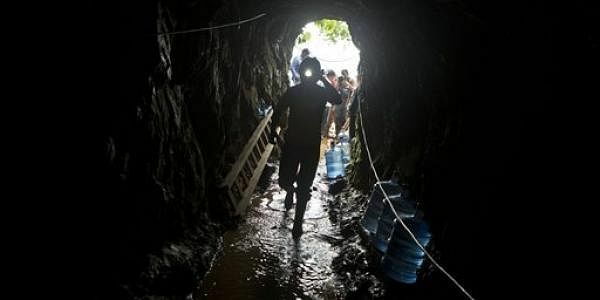 A total of 256 miners escaped, local officials said. "I was working underground when the accident happened. I smelt choking smoke in the shaft," said a worker surnamed Zhang, who was lifted out of the mine with others.